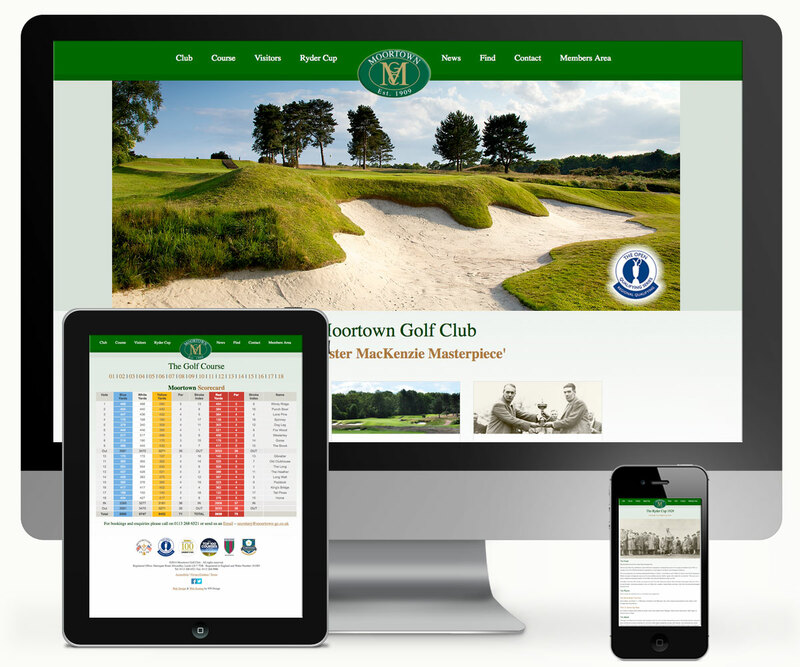 Moortown Golf Club Website - 939 DESIGN, Hull, Yorkshire. Founded in 1909, Moortown was designed by the World famous golf course architect Dr Alister MacKenzie, who also designed many other championship courses throughout the world. Well-known around the World as the host of the first Ryder Cup match on British soil, in 1929, Moortown is regarded by many as one of the Countries finest inland golf courses. Over the past Century the Club has hosted many professional and amateur tournaments with winners that include Sir Nick Faldo, Bernard Gallagher and Sir Michael Bonallack, former Captain of the R & A, to name but a few. Today Moortown Golf Club prides itself on the warm welcome afforded to local, national and international Visitors alike.